Recycle NB celebrated the first year of their electronic waste initiative. The organization is a province-wide environmental group whose mandate is to promote waste reduction and responsible and sustainable waste management. The organization exists to ensure that materials designated by the Minister of the Environment are managed in an environmentally sensitive way. Recycle NB currently manages stewardship plans for tires, paint, oil and glycol in the province. As per the CBC, CEO Pat McCarthy said the organization has collected fewer old and unused products than expected about three quarters the way through the program’s inaugural year – likely falling short on the targeted 3500 tonnes for the year. McCarthy said the volume is lower than projected because it takes a while for the news to spread. He said he still receives calls from people wondering if tires can be recycled despite the tire recycling program that’s been in place for 20 years. The program was something that environmental activists lobbied the government for years on. 56 facilities exist around the province, including drop offs at Staples business centres to encourage consumers to avoid throwing items into the garbage. As with most environmental initiatives there is often an adoption and engagement lead time for consumers to embrace a program like this. Once collected and sorted, the items are sent to a plant in Montreal, broken down and recycled. 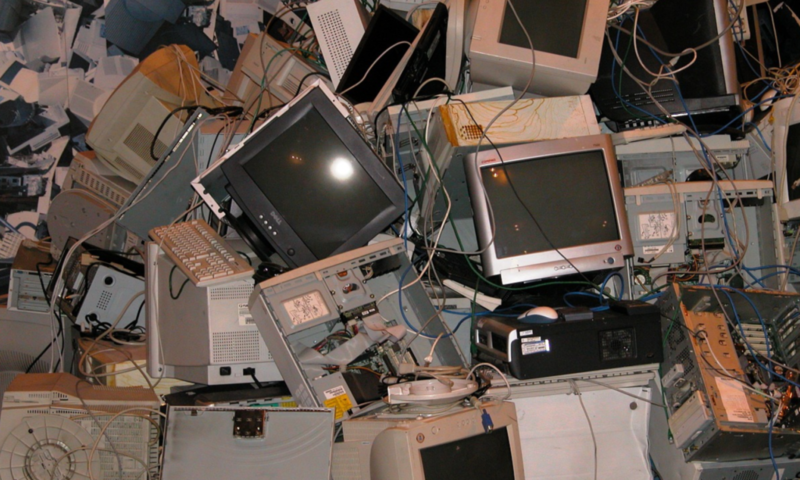 New Brunswick was the last province to establish an electronics recycling program and it wasn’t exactly easy in seeing the light of day. The program’s initial deployment met some resistance from retailers back in 2015 with respect to how recycling fees were being presented to consumers.